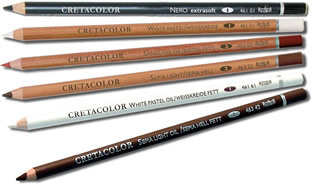 Cretacolor offer a really diverse range of Sketching Pencils with oil based and dry pencils in blacks, whites, sanguines and sepias. 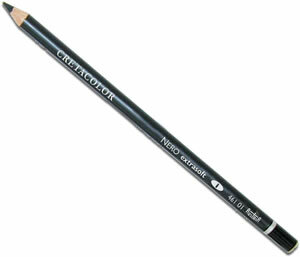 In addition to the Traditional Sketching Pencils there are the complementary blacks of the Cretacolor Monolith Pure Graphite Stick, the oil based dark black Cretacolor Nero, which is great for adding depth, and the intense black stroke of the Cretacolor Charcoal Pencil. 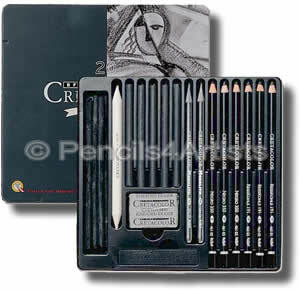 These wonderful pencils are put together in various combinations in the sets below, together with some accessories, to provide just about everything any sketching or portrait artist could need. 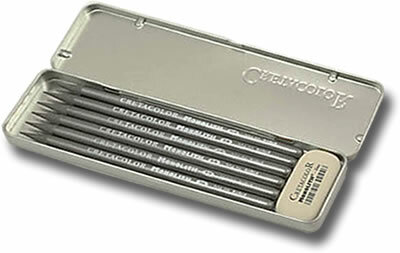 The full range of Cretacolor Traditional Sketching Pencils available individually. 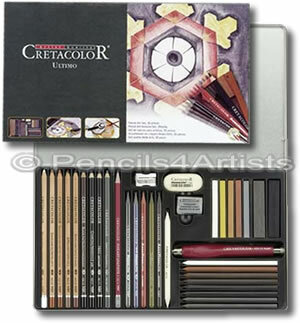 A nice basic drawing set containing Sketching Pencils in Sanguine, Sepia, White Pastel, a Nero Extrasoft and a Graphite Aquarelle 4B. 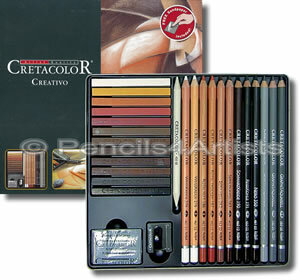 A nice, compact little set containing White, Sanguine, Sepia Light, Sepia Dark and Nero in Extra Soft and Soft. 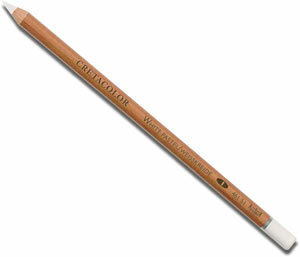 All water resistant pencils for sketching and drawing. 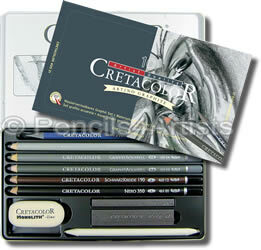 A comprehensive set of 27 items, ideal for any artist! This fantastic 35 piece set is a great way to get a whole collection in one go! 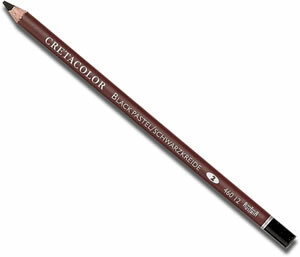 The Cretacolor Black Pastel Pencil is a dry, non oil based pencil which has always been used as a traditional sketching pencil. And who are we to argue with tradion? 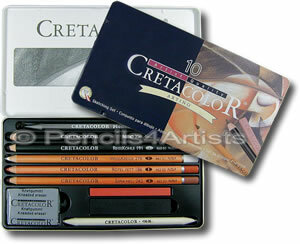 Cretacolor Nero Sketching Pencils are a traditional drawing pencil made with a rich, deep black, oil based core. The water resistant pencils comes in 5 grades form extra soft to extra hard. 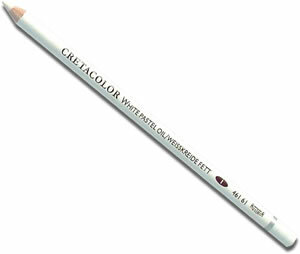 A quality traditional sketching pencil from Cretacolor, this white pastel pencil is beautifully smooth. The dry, chalky colour can be smudged and blended as required. A variation on the traditional dry sketching pencil, Cretacolor Sanguine Oil lays down smooth, deep colour which is totally water resistant. 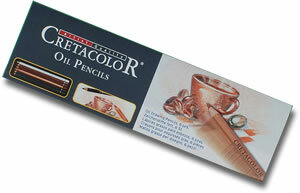 The pencil will not smear and is complimentary with all traditional sketching mediums. 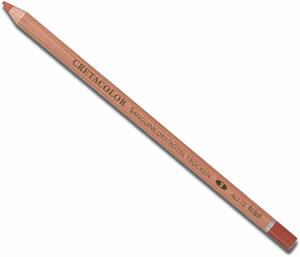 A traditional sketching pencil, Cretacolor Sepia pencils lay down a dry, smudgeable highly pigmented colour. 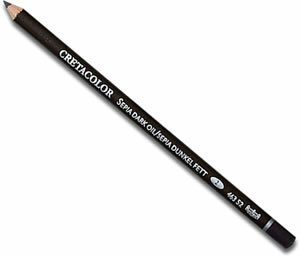 It can be mixed with other colours and is excellent for all drawing techniques.